Is there any other nation that loves its libraries as much as Finland? In 2016, the Finnish Ministry of Education and Culture revealed that nearly 2 million of its 5.5 million citizens were book borrowers, making 49 million library visits and borrowing more than 68 million books a year. At this year’s Venice Architecture Biennale, the country has placed the best of its bookish architecture on display in its “Mind-Building” exhibition. When “Freespace” was chosen as the the theme of this year’s Architecture Biennale, commissioner Hanna Harris, director of ArchInfo Finland, saw an opportunity. She had already been contemplating the role of the library in Finnish culture for several years, slowly developing the idea for an exhibition. 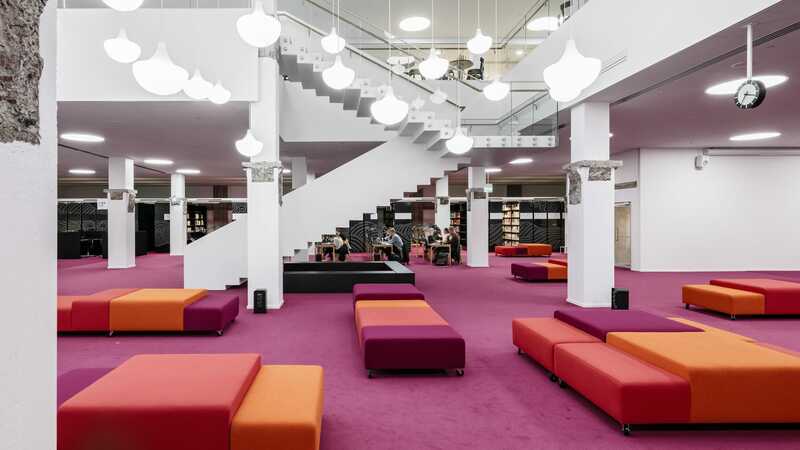 Meanwhile, the library had become a hot topic in Finland after the building of several exciting public libraries. “Education for all is a principle of Finnish culture and libraries have always played an important part in that thinking. Learning together and active citizenship are at the core of Finnish life,” Harris said in a phone interview.